My wife and I went to the Edward Hopper exhibit at the Walker Arts Museum last Saturday. Hopper is one of my favorite artists because I consider him to be the artist of chronic insomniacs. I am a chronic insomniac. By that I mean, many of his most favorite paintings depicted scenes that were seen either directly through a window at night or the perspective of seeing a room illuminated by two or three lighting sources at night. Reading the informational displays next to the art, I learned that may have been from riding the "L" train in New York City late at night and peering into offices where people were still working. Some of his paintings are very natural night time occurrences like his famous painting of a diner at night called Nighthawks. In some of his paintings displayed in this exhibit there were annotated drawings with clear attention to the light and sources of light in his paintings. In Office At Night for example is a notation about light coming in (at night) from the window, from an overhead office light, and from a lighted adjacent room. Nighthawks has always interested me just in terms of its form and attention to lighting details. It interests me even more after reading Kandel's book on art and what the viewer brings to the viewing situation. I suppose there are a lot of people just seeing a diner at night. But if you are an insomniac, night is an entirely different proposition for you. Many insomniacs dread the night because they equate it with no sleep. But many of us see it as the most exciting part of the day. It is like a different world where your perceptions are much clearer. I have actually cataloged some of my nighttime experiences, and they remain as vivid today as they did decades ago. For example, I remember one night, I was wide awake at 10 PM and decided I was probably not going to sleep that night. What better time than to go to the chemistry lab where I was working at the time and continue some experiments I was working on? It was about -5 degrees and a three mile walk. About two inches of snow had fallen and it crunched and squeaked every time I took a step. I was past an old decrepit sandstone block hotel at the half way point and more snow started to come down. Across the street was a large white marble bank building flashing the time and temperature. There were at least four lighting sources, the flashing time and temperature, the street lights, light coming out of the shops and rooms in the hotel, and light reflecting up off the fresh snow. I walked for three miles in these unusual lighting circumstances hearing and feeling that crunching and squeaking under my boots the entire way. It was thoroughly invigorating. I reached the lab, did a few experiments. As the sun came up, I found a couch in the building and fell asleep. That may not sound like much to someone who is used to sleeping at night, but it is what I bring to viewing a Hopper painting of a diner at night. I find myself very excited about it, when it probably does not have that effect on others. I could easily walk into that diner at night and talk with my fellow insomniacs. We would all be in a fairly good mood. All of this also reminded me of Kandel's recent book The Age of Insight and his focus on beholder's experience. The main idea is that viewer experience is critical to the completion of the work of art. This idea originated with Alois Reigl, an art historian who developed a formal method for analyzing works of art. The corollary is that each new generation of artists has the implicit task of educating the public about new ways to view art. Some of Kandel's focus was on Viennese modernist painters - Klimt, Kokoschba, and Schiele and their role in educating the public about unconscious instinctual urges through their paintings during the time that psychoanalysis was being developed. The theory of the viewer's experience also looked at the issues of inner and external coherence. In the case of inner coherence, the painting has a clear narrative that does not require the viewer to complete the story. In the case of less clear narratives the viewer may respond to the physical or emotional space of the painting, social equality with the people in the painting, and emotional and empathic equality with the people in the painting. According to Kandel: "The ambiguity in the image elicits both a conscious and an unconscious process of recognition in the viewer, who responds emotionally and empathically to the image in terms of his own life experiences and struggles." This is a critical but rarely recognized aspect of art. I have been out of college for some time at this point, but recall no classes that were either specifically art classes or liberal arts courses on the interpretation of art that discussed the response of the viewer as necessary to complete the art, even though that idea had been out there for over 50 years. These considerations also highlight the artistic aspects of other media - like photography. There are many common criticisms of photography as art. Many consider the creative process to be too truncated: "It's just a picture after all anybody can do it." Some consider it to be a predictable way to elicit an emotional response, such as the Humane Society and Save the Children commercials that are broadcast on late night television. But photography is a lot more than that. As an example, I posted this sequence of pictures of 4 sisters over a span of 37 years years to my Facebook feed. I found these pictures especially in sequence to be emotionally stunning and I wanted to see what some of my friends who were photographers thought. To my surprise, I got two responses: "wow" and "very cool" from friends who do not seem particularly interested in photography - at least based on what they post on Facebook. In this case the only narrative is implicit and partial and that is sisters as they age. The body language and facial expressions seem to change over time. I think it would be very difficult for the average viewer to not respond emotionally, empathically and construct their own theory of the mind interpretation for what is going on. Photography can clearly be as compelling as painting or other forms of visual art. Being a neuroscientist, Kandel is a wealth of information on the neurobiology of the beholder's experience. On the chapter focused on that issue, he talks about unconscious determinants of beauty and attractiveness. He discusses activation of the reward system both at the level of the ventral tegmental area and orbitofrontal cortex (OFC) in response to attractive faces, especially smiling faces and beautiful images. He points out that one experiment showed that beautiful pictures activate the OFC more than the motor cortex and with ugly pictures it is the opposite suggesting that seeing ugly or fearful faces sets up the brain to prepare for a fleeing response. Kandel's approach to the discussion of the artist and the beholder and their necessary relationship to complete the art and now the underlying neuroscience makes a lot of sense to me. The most compelling aspect of this story (apart from loving the art) is the idea that you can look at this problem from the perspective of neuroscience and not get carried away. Kandel is as comfortable discussing the neuroscience as his is the qualitative and subjective aspects of the creation and perception of art. One does not necessarily explain the other. At some point in psychiatry subjective became a dirty word and the illusion was created that in the extreme our unique brains can be measured and characterized by a simple collection of symptoms. Any student of consciousness knows that it is absurd to think that 7 billion unique people with unique brains can be broken down to a relatively few disorders or personalities or executive functions or IQs or however else we might want to approximate their neurobiology. Art and the beholders experience is a great example of that. I have a good idea of why I like Hopper's work. My theory of the mind is that he was a fellow insomniac who did not mind being an insomniac. I have other speculation about his work, especially the people he included that I will hold for now. Another thing I have learned over the years is that people are not necessarily interested in one anothers interpretations of art. My favorite art and the art that I collect is pure abstract art and I hope to develop a detailed post about that in the not too distant future. Eric R. Kandel. The Age of Insight: A Quest To Understand the Unconscious in Art, Mind, and Brain, From Vienna 1900 To The Present. Random House, New York City, 2012. Gustav Klimt Page - This artist is prominent in Kandel's book and his works are on display at this web site. I heard this story on MPR yesterday morning and could not wait to comment on it when I had the time. One of the may ironies of this piece is that the entire managed care industry was invented and consolidated around the myth that mental health was out of control and needed outside "management". That rhetoric continued to serve the purpose when the time came to drastically cut and restrict services on a disproportionate basis compared with all other aspects of medical care. The original "offense" driving all of this pro-managed care rhetoric was a chain of psychiatric hospitals that were accused of inappropriately hospitalizing teenagers back in the 1980s. The rhetoric was so intense and so perfect from a propaganda standpoint that any outcry against managed care in the past three decades was typically met by somebody bringing up what happened in the 1980s as proof that we need managed care. Psychiatrists who should have known better kept mouthing these words as well as psychiatrists with conflicts of interest through their ties to the managed care industry. Even as the psychiatric infrastructure was decimated, bed capacity was closed, access to psychiatrists was limited, and the severely ill could only be hospitalized if they were "dangerous" - we still needed managed care to prevent the alleged excesses of the 1980s. As a psychiatrist who practiced in the 1980s in both hospital and community mental health center based practices - I can say that unequivocally there were no excesses in any hospital or clinic that I practiced or trained in. That included three Veteran's Administration hospitals, a large county hospital, two community hospitals, and the community mental health center. In fact by the end of the 1980's managed care reviewers were routinely throwing the patients that I was treating out of the hospital. These were patients who generally had few resources severe mental illnesses and many had an addiction. In many cases suicidal behavior brought them into the hospital and a reviewer who had never seen the patient decided that they needed to leave. From a business standpoint, how can you not make money? I can understand the excitement in the business community. The PPACA is essentially another tax on all Americans. It will generate a huge revenue stream. The market is already concentrated in the hands of a few businesses. The legislation itself facilitates the formation of even bigger cartels from the existing cartels. The cartel controls all of the pricing, and of course they get paid whether or not the subscriber ever uses the system. The cartel dictates what they pay the professionals in the system, and when they don't (in the case of rural physicians) - they try to get legislative leverage to force those physicians to accept what they pay everyone else. They have institutionalized business practices to take priority over medical care. They also have a well known tendency to treat knowledge workers like production workers, minimizing any activities that are not considered essential for the business. How can you not make money with a model like this? Adding what is essentially unnecessary administration to medical services is the equivalent of adding the same unnecessary services to the financial services industry. The consumer does not get a real choice of services. There is an expectation that they will pay their money like everyone else, a surcharge for management practices that seem to add value based on public relations and advertising or in other words - no value at all. Three decades of managed care has provided a clear example that making money is obviously not the same thing as providing quality care. Funneling tax dollars and insurance premiums through a middleman whether that is a managed care company, insurance company, or pharmaceutical benefit manager has always been good for business. It has been horrendous for physicians and not good at all for patients especially anyone with a mental health problem or problem with addiction. There is nothing in the ACA that will change that. The exuberance for investing in behavioral health is understandable. Managed care has always been a money making scheme designed by business men and politicians to shift money away from the people and institutions providing care under the guise that some type of management was needed. I don't buy for a second that this will translate into better access or less stigma. Managed care companies don't have to produce a better product. The should be evident by the metrics they have devised to measure things like the PHQ-9. So rejoice if you are a healthy investor with no history of mental illness or addiction in your family. Taking money from a captive audience and providing them with public relations based care is good for business. It has a solid 30 year track record of providing some of the worst mental health and addiction care ever while many of the companies involved prospered and were seen as excellent investments. How does providing these companies and managers with unprecedented leverage over the system change any of that? There will be the expected proliferation of managers, all of who have the express agenda of rationing the amount of care you can get for your premium. There will be the marketing campaign so that it appears that every hospital and clinic in your community will be one of the top institutions in the country. In the end, you will still not be able to get detox and addiction services, hospital care or psychotherapy much beyond the severely rationed services that exist right now. The mainstay of psychiatric services will still be a 10-20 minute conversation focused on a medication with a psychiatrist or more probably a less expensive "prescriber". There will probably not be much of a conversation on whether that medication makes sense and what the other alternatives may be. Anyone being seen in some versions of the collaborative care model may not ever see a mental health professional. But somebody will be making money and a lot of it. Dan Gorenstein. Mental health parity opens new business opportunities. MPR Friday June 27, 2014. As noted in recent posts, I was a participant in a conference that focused on the clinical care of patients with addictions. The intended audience was primary care physicians. One of the advantages of a course like this is that there is a lot of cross talk between the presenters and those attending the conference. After a three hour segment about the treatment of opioid addiction and chronic pain, I was approached by a physician who updated me on the state of treatment of addictive disorders and psychiatric disorders in primary care. One of the recommendations by our speakers was to suggest that drug and alcohol counselors in their own clinics might provide very useful approaches to treatment that could not be provided by the primary care physicians. It is difficult to see how busy primary care physicians could suddenly take an hour or two to do group therapy for patients addicted to opioids or benzodiazepines. Taking breaks from the productivity based schedule to do indicated psychotherapy for patients with histories of trauma is even less likely. After all, isn't this the medical home model? This physician was very aware of those constraints. He had tried to implement these modalities in his clinic, but they were rejected outright by administrators. We discussed some of my experiences in managed care settings as a consultant to internists in managed care settings. I had an internist call me and say that he had a patient who was addicted to opioids and needed detox prior to surgery. I called my boss about the resources available for that. He told me that we did not have the time available to do detox from high dose opioids. That problem has continued to worsen. This physician was also not having any luck with getting detox for pre-op patients. The opinion at the conference by speakers was that slow and gradual detoxification from opioids and benzodiazepines was the exception rather than the rule. It is theoretically possible in highly motivated individuals with a relatively unlimited time frame. The best approach seems to be fairly rapid detox with adequate protection (in the case of benzodiazepines and alcohol) against seizures. Attempts at "outpatient detox" range from handing the patient a bottle of benzodiazepines in the emergency department to "social detox" in holding areas that monitor people and send them back to the emergency department if it looks like they are going into worsening withdrawal. There are no acknowledged standards in the area. Nobody complains about this inadequate care for addiction most likely due to the stigma of addiction and the general plan of many places to "get rid of" addicts rather than providing them with any kind of treatment that might be useful. "Research indicates that most addicted individuals need at least 3 months in treatment to significantly reduce or stop their drug use and that the best outcomes occur with longer durations of treatment." (Principle number 5). There are certainly plans that offer no coverage for addiction at the extreme end. Many plans that do, follow utilization review protocols that frequently review the treatment being provided with an eye toward providing the least expensive care. In some cases people with severe problems and no significant withdrawal or medical problems are discharged. The default position is that the patient must fail, in many cases several times before treatment is funded. In many cases there is a focus on whether the addiction or the psychiatric disorder is "primary" in order to shuffle the patient from one pool of money to another (addiction <-> psychiatry). All of this financial gaming leaves the addicted patient out in the cold. That starts with inadequate to nonexistent detox to treatment that lacks the necessary intensity to be successful. It can also create a very negative and counterproductive attitude by the system of care to the patient with the problem. "Sanctions or enticements from family, employment settings, and/or the criminal justice system can significantly increase treatment entry, retention rates, and the ultimate success of drug treatment interventions." (Principle number 11). When insured patients are incarcerated or committed for problems associated with an addiction there is usually a strong push to get the patient into public systems of care. That includes state hospitals, public clinics, and public mental health problems. The strategy is clear - shift the cost of treating addiction and mental health problems to government run systems. Most states have taken a page out of managed care and responded by decreasing available treatment centers and hospitals. All of these business manipulations do not bode well for people who need care for even moderately complex problems. Certainly the detoxification and treatment of an otherwise healthy 25 year old is much different from a 60 year old with cirrhosis and diabetes. But the system of care is currently not set up to provide necessary care for the least complex patient. At a policy conference in Hawaii in 2011, I asked the policy wonks who were there to tell us how the "medical home" would revolutionize care for addictions: "What would keep a managed care company from doing a screening exam and leaving it at that." His response was: "nothing". It appears that I am able to predict the behavior of managed care systems much better than the policy wonks. The same thing that many professional organizations have failed to do over the past three decades. Physician organizations like the American Society of Addiction Medicine (ASAM) need to promote adequate treatment guideline, make them publicly available, and embarrass these companies into using them. ASAM currently has a complex matrix that is supposed to correspond with levels of care. They are largely ignored by managed care companies. ASAM should talk about the heavy drinker coming into the emergency department and walking out with a bottle of lorazepam. It is rather ironic that NIDA does not step up and say what standards should apply, but any regulation needs to consider the Congressional sausage factory and their negative impact on quality care. The negative impact of business on quality care is most obvious in the areas of psychiatric services and addiction. Following the status quo and even going as far as endorsing managed care tactics is good for business, but not for people trying to recover from addiction. From a policy standpoint, this is a much bigger problem than any issue with pharmaceutical companies, conflict of interest, or even perceived problems with psychiatry. Denying that basic truth may be the result of three decades of ignoring this problem, but complaining about less important issues will not change the skewed health care landscape or get necessary treatment for people with psychiatric and addictive disorders. I just completed a formal presentation this morning at about 9:15 AM. It was in a big conference room at a plush hotel near the Mall of America. There was a little pressure because I was the lead off man in terms of the scheduled presentations. I walked into the venue early and got up on the stage. It was a black elevated platform about 25 feet square. It looked like it was built to be portable. There was a lectern with a fixed microphone. The platform was positioned between two large 20 x 25 foot screens. In order to see the screens or use a laser pointer, I had to walk out from behind the lectern to bring me about 12 feet away from the back wall. I looked out over the audience filing into to 4 sections of tables and thought: "Not the most convenient set up - but I have done this before." My experience with presentations like this is mixed over the years. A lot of that has to do with neurotic behavior. I have given many presentations that I became disgusted with and was glad they were over. They were probably the ones that I did not think were good enough or up to my often unrealistic standards. In the old days before everything was standardized as PowerPoints, the formatting and graphics would often throw me off. For 5 dark years I was using a presentation program called Aldus Presentation followed by Harvard Graphics and there was always a lot of luck involved in what that final presentation looked like. Those were also the days of 35 mm slide sets and projecting from carousel projectors. There were also services that would charge significant fees to convert your presentation images to 35 mm slides. Nowadays I can obsess about the presentation right up until the last moment and walk in with presentation, several modified versions, and several alternative graphics on a USB drive and make a last minute change. Technically about the only thing I have to complain about is getting copyright permissions but all of the hardware and software is good. Getting mentally prepared is much harder. I received instructions that I had to make sure that the presentation was exactly 45 minutes long. Right before I started I was told about 5, 2, and 1 minutes cards that would let me know how the time was running out. I was supposed to rehearse it and I did. I digitally recorded it and it ran 45 minutes exactly. I went back and recorded as many key concepts as I could. I thought about my self acknowledged deficiencies as a presenter. I can suddenly start to isolate affect and drone on in a rapid and obsessive manner. I can remember giving a presentation about medications to a large crowd and at one point I made eye contact with a fellow staff member in the audience as he mouthed the words: "Slow down!" - rather emphatically. I am fairly humorless. At least that is the general audience experience. My humor is dry - often bone dry. It is the humor that only introverts get at times. When I hear more than a muffled response, I wonder: "What just happened?" There is also the fear that I will choke in the same way I choked in a pharmacology seminar in medical school. My seminars generally consisted of the same group of people. They were all friendly and not threatening in any manner. The same thing was true of the professor. I knew the material on the cardiovascular pharmacology of calcium channel blockers cold. There was no good explanation for me just blanking out at the ten minute mark. I remember I was thinking about hiking through Glacier National Park. I had the image of a photo I took of the moon high in the sky over Nebraska. Everything seemed right with the world until my reverie was interrupted by the Professor saying: "Hello? Mr. Dawson? Are you going to get on with it?" I don't know how long I was staring blankly in front of my fellow students. I snapped out of it and completed my presentation. I have given thousands of presentations since that pharmacology seminar incident and no similar episodes have occurred. Even at the time, I don't remember being embarrassed about it. Also unusual. That does not mean that I am any less neurotic. Since reading Yalom as an intern, I have always seen the truth in existentialism, so I was not surprised about this spontaneous thought on my drive to the hotel: "What do you care what people think about this? You are going to be dead soon anyway and nobody is going to talk about it at the funeral." .... Okay - focus George - you can only die after the presentation. Don't work yourself up into a lather of death anxiety in addition to the fairly well controlled performance anxiety. After surveying the venue, I decided to forgo the conference coffee and go to one of my favorite chain of coffee shops. The conference rooms were set up so that they intersected a main skyway into the mall. The coffee shop was about 100 yards away. I had about 15 minutes until I started, so I headed down the hallway. At about the 50 yard mark, there was a set of three steps followed by a landing and then another set of four steps. I failed to notice it at the time but the height of the steps was unusually low and I was headed down these steps. This is a major thoroughfare and the hallway was about 20 feet wide. I made it to the third step tripped and went crashing onto my right knee and hands. That's right - I fell almost flat on my face shortly before my presentation was scheduled to start. The same thing happened to me in O'Hare one day as I was waiting to catch a flight to Boston. I was balancing with a brief case against a guard railing in one of those large central areas that everybody seems to stream through headed to the other side of the airport at O'Hare. I slipped sideways and hit the floor, the metal edge of my brief case making a loud cracking sound. No fewer than a hundred people came sprinting over to me as if I had been shot. It took a good ten minutes for the crowd to clear after they confirmed that I was apparently unscathed. This morning I immediately pushed myself up off the floor and braced for the onslaught. There were at least a hundred people in the area. To my amazement, nobody seemed to have noticed the old man hitting the deck. I moved quickly to the coffee shop, placed my order and moved to a back corner where I could pull up my baggy trouser leg and inspect the knee damage. Ten minutes later I was at the podium. One of my colleagues commented on the way up that I never looked nervous. He didn't see me just hit the floor like a bag of dirt. This is it. I am finally ready for the show. I always have a number of jokes ready that I never use. Instead I go to a few controversial remarks about the topic. I am actually a student of PowerPoints. I have attended the Tufte seminars and have his books. I try to apply principles of good design to the slides and to use as many graphics as possible. Tufte doesn't like PowerPoint. He thinks it doesn't contain enough information. I attended one of his seminars and he was using large sweeping graphics with no text. It was visually interesting but content? It reminded me of a TED talk - a lot of affect and minimal content. TED talks are useful for that mode of communication, but the crowds I talk to deal in facts and a lot of them. And that is pretty much how it went. Matching my associations to the lecture content. It is only slightly more to obsess about. And nobody had to die. For the past couple of months, I have spent a lot of my free time working on a presentation on neurobiology. The presentation is the lead off in a series of lectures on addiction and the target audience is primary care physicians. I have a lot of experience with this topic because I give a very similar lecture at least six times a year to physicians and other professionals who take a course on the treatment of addiction at the facility where I work. I have been preparing and delivering these lectures for 3 1/2 years at this point. Incorporating some of the most recent data on these topics is always a challenge and I depend a lot on Nature, Science, and Neuron for the latest reviews, research and commentaries. 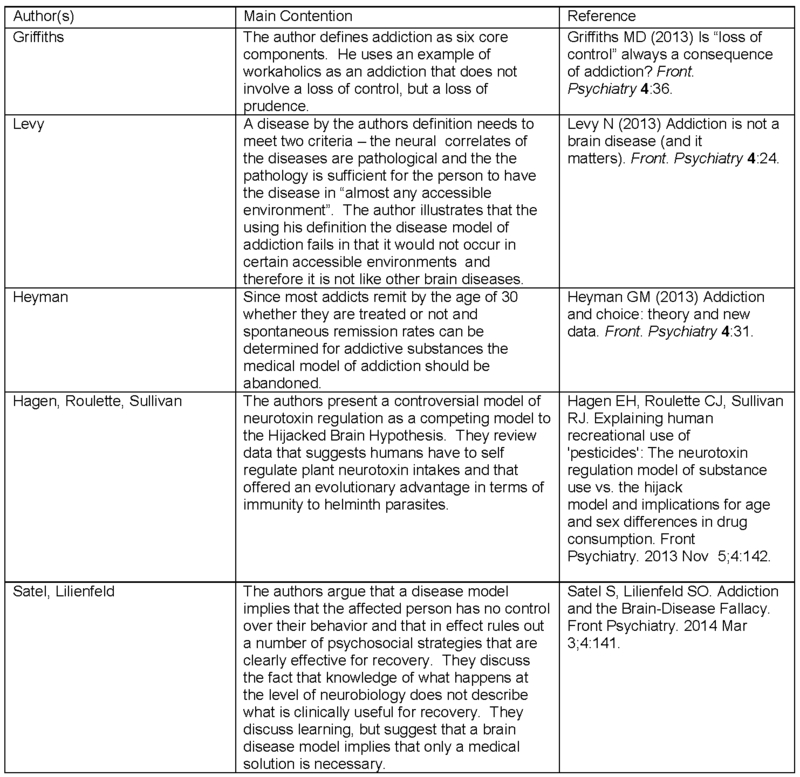 In order to make it more relevant I ran across a collection of article in Frontiers in Psychiatry on the issue of whether or not addiction is a disease or not and it seems like a lot of that has to do with neurobiology. Neurobiology has also become en vogue in many ways. There is a conference posted in my clinic entitled "The Neurobiology of Play Therapy". 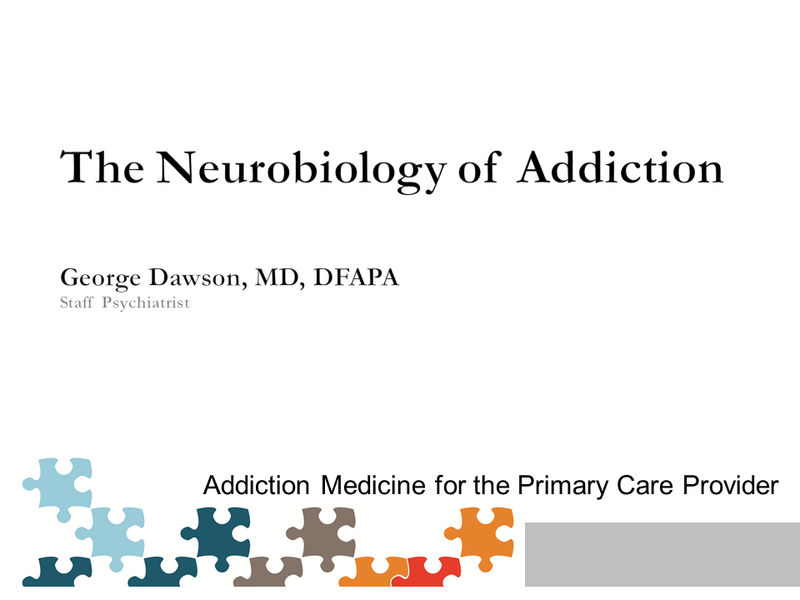 I thought I would post my observations of the implications of neurobiology in addiction and psychiatry. The modern day interest in neurobiology owes a lot to Eric Kandel and his 1979 New England Journal of Medicine article "Psychotherapy and The Single Synapse." The focus of that article was on the application of his basic science research on plasticity to the psychotherapy situation. Plasticity was a relatively new concept at the time with the initial description of long-term potentiation (LTP) in 1973. Kandel's basic argument was that nervous systems of varying complexity are designed to change with the experience of the organism. The interesting part of his article is that it starts out with his experience as a psychiatric resident and the tension between the psychotherapists and the biological psychiatrists as they were called when I encountered the same dynamic in psychiatric training over twenty years later. It is an important consideration because people outside of the field often have a skewed perspective of what makes up the training of a psychiatrist and this tension has been present for as long as I can remember - with articulate faculty on both sides. He discusses this from the perspective of a parent discipline and an "antidiscipline" or one that is narrower in scope than the parent discipline and invigorates but does not displace it. Neurobiology being the antidiscipline to psychiatry. Molecular biology being the antidiscipline to cell biology and so on. At the experimental level Kandel uses habituation and sensitization experiments on the sea snail to illustrate that "dramatic and enduring" changes in neural transmission occur with changes in plasticity. He develops the theme that the functional-organic pathology based on gross or microscopic brain lesions is a false dichotomy. 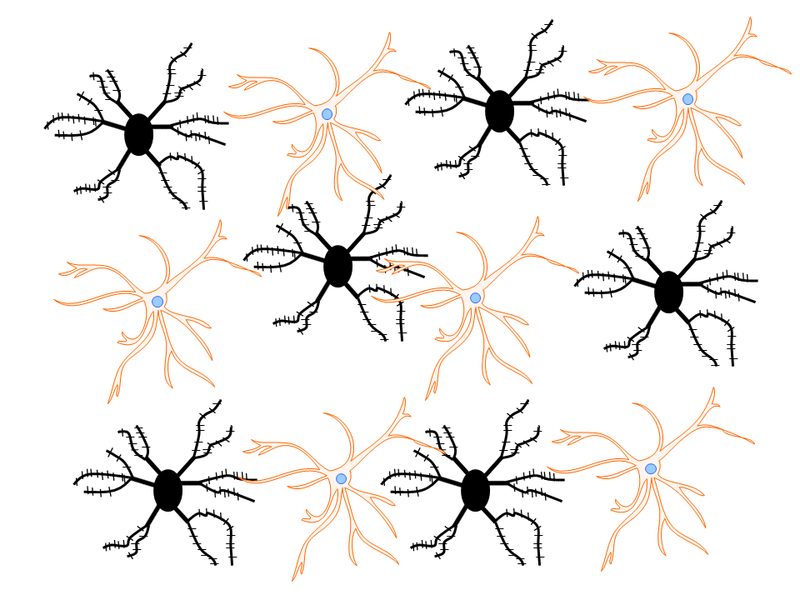 Profound changes in networks of neurons can occur with no change in the numbers of neurons involved. The mind is a function of the brain, but as Kandel later stated we do not have to think that all human behavior can be broken down to a specific biological level. There was a striking lack of the term "plasticity" in all of these papers. It only surface in the paper on choice by Heyman in the following sentences: "First, most drug addicts quit. Thus, drug induced plasticity does not prevent quitting." That is a restricted view of plasticity. First, it does not speak to the fact that plastic changes even if they appear to be long term can be reversed. Second, it treats plasticity as a linear process when it is likely that the brain processes involved in recovery and in all of the other mechanisms cited by these authors as being more important in the recovery process are plasticity based. The articles in general have the tone of polemics. There is certainly nothing wrong with that. As I have written on this blog, science is a dynamic process and part of that is an argument about theories over time. The argument about the neurobiology of addiction seems to get hung up on both the disease concept and morality. There can certainly be important neurobiology with or without disease. That neurobiology is there whether or not medication, social processes, or psychotherapy influences it. At least two of the authors equate neurobiological disease as the "no fault" condition and suggest that a biology based model is more blameless than one that suggests that addicts do have choices and respond to contingencies. I think moral interpretations of a mental illness or addiction have less meaning if we are accurately describing the process. It is much more than biology being no-fault and consciousness capable of decisions implying a moral judgment. Plasticity mediated mechanisms gets us a lot closer to the science of how the brain works and away from the primitive interpretations of the 19th and 20th centuries. Plasticity is the best paradigm for describing addiction and the recovery process. Processes involving plasticity are all testable and the theory is falsifiable. The most significant obstacle to the application of brain plasticity as a central process is the old functional-organic dichotomy where organic implied a neuroanatomical brain lesion. It has been known from habituation and sensitization experiments like those described by Kandel in his 1979 paper that "dramatic and enduring" changes in neural transmission, do not require brain lesions or other abnormal anatomical features. A recent paper (3) proposing that maladaptive NMDA-mediated synaptic plasticity as a unifying theory for tardive dyskinesia is a good example of plasticity mediated illness. There is no reason to believe that addiction and recovery may not be mediated by the same mechanisms. 1: Kandel ER. Psychotherapy and the single synapse. The impact of psychiatric thought on neurobiologic research. N Engl J Med. 1979 Nov 8;301(19):1028-37. PubMed PMID: 40128.
" In each case, even in the most socially determined neurotic illness, the end result is biologic. Ultimately, all psychologic disturbances reflect specific alterations in neuronal and synaptic function. And insofar as psychotherapy works, it works by acting on brain functions, not on single synapses, but on synapses nevertheless. Clearly, a shift is needed from a neuropathology also based only on structure to one based on function." 2: Alternate Models of Addiction. Frontiers in Psychiatry. The Department of Justice came out with a report this week on the way that psychiatric problems are being managed in the LA County Jail. The conclusion was that prisoners were prevented in getting their constitutionally-required care for mental illness and they cited deplorable environmental conditions, deficient care for inmates with obvious needs, inadequate supervision, and failure to provide adequate suicide prevention services. There were 15 deaths by suicide in 30 months and the conclusion was that several of those deaths were preventable. By previous agreement, the county had demonstrated compliance with suggested measures including the development of a robust electronic health record. The resulting Memorandum of Agreement Between the United States and Los Angeles County, California Regarding Mental Health Services at the Los Angeles County Jail (MOA) is an interesting read and could be viewed as a blueprint for transferring psychiatric services from managed care hospitals to correctional facilities. Unfortunately there is no obviously available detailed report on the findings at this time, but I have requested it through their web site. The issue of psychiatric services being provided in county jails is a national scandal that hardly anyone seems to care about. In terms of awareness it is probably well below the issue of mass shootings by people with mental illnesses. Why is that important? There are several issues that never seem to be mentioned in the press. The first and foremost is how psychiatric services have been excised from clinics and hospitals by managed care companies - especially complex psychiatric issues. Anyone who cannot be seen in a 15-20 minutes brief discussion about medications usually gets the message that they need to get services elsewhere. Many people who end up in jail these days have chronic mental illnesses have been involved in minor violations (trespassing, disorderly conduct, drug possession/paraphernalia charges, etc) that are a product of mental illness. Their stays are often complicated by a lack of available legal and financial resources that increase their stay times in jail. The following table is based on data in Forbes magazine and corroborated by other sources describing the total populations in these facilities. 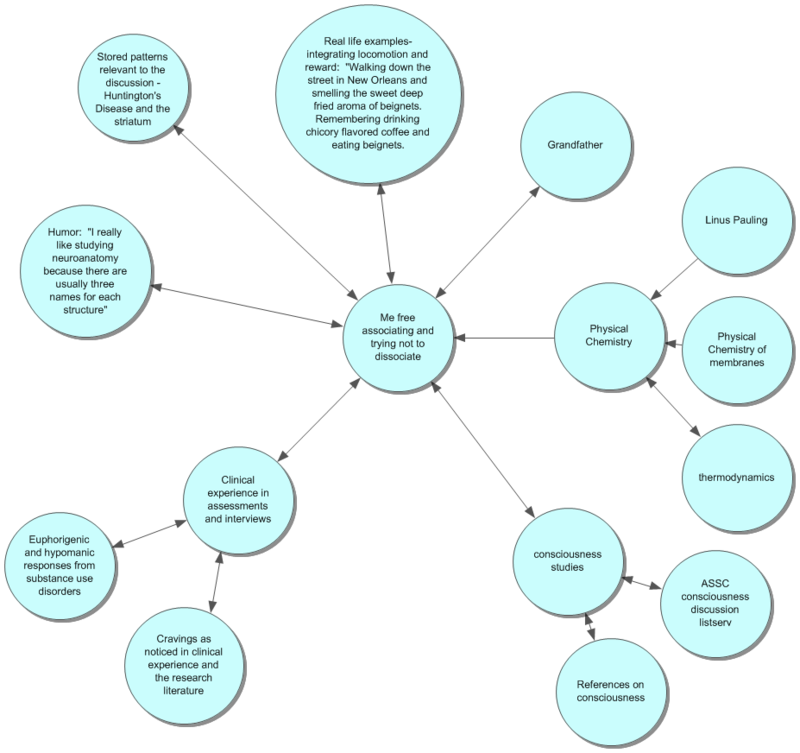 The epidemiology of mental illness in incarcerated populations varies by site, authors, and agencies involved but there is no dispute about it being significant. In a 2005 survey by the Bureau of Justice Statistics, 64% of inmates reported a mental health problem. Recent study of incarcerated women showed that 43% met lifetime criteria for severe mental illness and 33% met 12 month criteria. Forty five percent of the women meeting 12 month criteria had severe impairment of functional capacity. The authors of that study emphasized the need for assessment of mental health needs at the point of entry into the justice system in order to meet the complex needs of the patients. The inherent problem is that the US justice system and American culture are set up to pay lip service to recognizing mental illness and diminished capacity and that has recently been complicated by essentially shutting down psychiatric services and offering jails as an alternative. What are the basic problems here? The first is a clash of paradigms - treatment versus punishment. If a judge actually puts you in jail for trespassing when you are so confused you can't find your way off someone's property due to mental illness, substance use, or some combination that amounts to punishment for having a mental illness. Some systems are more enlightened than others in dealing with that problem. In some communities, the lack of psychiatric resources results in jail as an alternative to hospitalization or non-existent community services. The hand off between corrections and medical systems of care is complex and it depends on a medical staff who know how to approach and treat patients from correctional systems. It also depends on judges and prosecuting attorneys with resources to decide who can be adjudicated as unable to proceed and be diverted to treatment rather than trial. Those resources need to include examiners who can see people in jail and make the necessary assessments about court versus jail. The second problem is rationed services. This is best illustrated not only by the collapse of the number of beds in community hospitals and the lengths of stay much shorter than comparable facilities in the European Union but by the underlying cause of all of these problems. That cause was simply managed care. Managed care has done an expert job of cost shifting by developing business friendly treatment criteria, abandoning the social and community mission of treating difficult problems associated with mental illness and addiction, and removing the element of humanism from psychiatric treatment. When I first started to practice, discharging people from a hospital when a psychiatrist had serious concerns about whether or not they could make it or whether they would be safe was very uncommon. Today those discharges are the rule rather than the exception largely due to the imaginary dangerousness criteria. It frequently comes down to whether or not a person is "dangerous". If they are not, they will find themselves whisked out the front door at their first request. I have seen that happen when the patient could not find the front door. The same dangerousness criteria allow for blocked admission from jails or law enforcement. The third problem is the violent offender or criminal with mental illness. The distinction is much less clear than most people think. Psychiatrists Dorothy Ontnow Lewis and Harold Pincus published papers on the high prevalence of neurological abnormalities and histories of brain injury in death row inmates. Many criminals start to use various substances early in their development and can develop psychiatric comorbidity s a result of this drug use. In my experience treating criminals or more technically persons with antisocial personality disorder who develop mental illnesses as a result of their criminal lifestyle is a much different problem than a mentally ill person who runs afoul of the law due to their psychiatric symptoms. The patient who is antisocial or a criminal first needs to be separated from patients without those characteristics to prevent exploitation of vulnerable patients. Any psychiatric facility in a metropolitan area needs to have this type of capacity or it will diminish the ability of the inpatient service from caring for individuals who are violent and aggressive due to treatable psychiatric disorders. These individuals are at high risk if they are cared for in correctional settings. I hope that this post highlights the problem and the potential solutions. I just read a piece in Nature this morning that highlighted the need to study suicidal behavior. The Dutch psychiatrists who wrote it emphasize that research on suicide is underrepresented in the psychiatric literature relative to articles on schizophrenia. In America today we currently have ten times as many mentally ill patients in jails than state hospitals. We have mass shooting homicides and many of those aggressive individuals either had no resources for treatment or there was no identified path of care for those individuals. We need an array of psychiatric services focused on violence prevention and treating people who have impaired functional capacity to the point that they run into problems with the law. We need better systems of care for criminals with primary and acquired forms of mental illness. Locking all of those people up in jail and restricting their access to medical care is good for business, but it is no way to treat human beings. Supplementary 1: "In 2006 there were 228 state hospitals operating some 49,000 beds." Fisher WH, Geller JL, Pandiani JA. The changing role of the state psychiatric hospital. Health Aff (Millwood). 2009 May-Jun;28(3):676-84. doi: 10.1377/hlthaff.28.3.676. PubMed PMID: 19414875. People certainly know how to spin drug studies. The debate over "old" versus "new" or typical versus atypical antipsychotics always seems to contain an element of marketing and somebody pushing an agenda. Reality in those analyses is always lacking and the spin on the issue of older antipsychotics (haloperidol and fluphenazine) versus the newer (risperidone and paliperidone) is problematic especially when the conclusion is that there is no reason to use newer second or third generation antipsychotics. It also points out the difference between clinical experience and clinical trials. Clinical experience is often minimized as being "anecdotal" but at some point anecdotal becomes statistically significant. That has been my experience with typical or first generation antipsychotics and neurological side effects. In looking at the results of the drug trials it might be interesting to look at the agendas of various parties involved. Certainly the pharmaceutical manufacturers want their products to look as good as possible. But there are also clear agendas on the part of the investigators, even when the financial conflict of interest is eliminated. Investigators with the view that schizophrenia is largely a disorder that can be adequately treated with an antipsychotic medication and that medication adherence is a big part of that treatment is certainly one interest. The idea that intramuscular injections is the best way to do this is another. I recall listening to some of these investigators talk about how this is good for the patient, not that painful and there why wouldn't a psychiatrist recommend an injectable medication as soon as it was shown that the medication was tolerated in the oral form. They seem to suggest that the patient would actually want the injection. In my experience, nobody does. Who would want to take monthly painful intramuscular (IM) injections for the foreseeable future? I have seen people come to that conclusion, but they need to accumulate a significant amount of equally painful evidence related to missing oral doses of medication. The argument about long acting injectables has take on a new dimension with the availability of long acting naltrexone (Vivitrol) injections. This medication is one approach to the treatment of opioid use disorders and it is very effective for some some people. If opioids do not produce the expected euphoria there is no incentive to keep taking them. It also reduces the rate of accidental opioid overdose. Following detoxification, many people are taken off the medications that they were using in high doses. At the time of discharge, there is a real risk that many will attempt to go back to using the amount of opioids that they were using. If their tolerance is gone that creates the potential for opioid overdose and death. The nature of addiction prevent many people from using substitution therapies like buprenorphine or methadone. Long acting naltrexone injections can be painful, but many people with opioid addiction realize it is their best chance to stop their ongoing addiction and avoid the complications of overdose including death. In the treatment of schizophrenia spectrum disorders, many patients never get to that level of risk/benefit analysis and that translates to an even lower likelihood of appreciating the advantages of a long acting injectable medication. The neurological side effects of older antipsychotics are usually ignored or minimized in the debate of old versus new medications. They were the largest single side effect problem facing psychiatrists 20-30 years ago. It would be common to look at a group of hospitalized patients and notice that 20-30% had tardive dyskinesia the commonest movement disorder caused by older antipsychotic medications. I can recall the experience of stabilizing people with severe bipolar disorder on an antipsychotic medication and a mood stabilizer and by the time they came back to see me in clinic they had developed tardive dyskinesia or some other movement disorder like akathisia or drug induced Parkinson's syndrome. In the worst case scenario the movement disorder would not completely resolve with modification of the therapy or discontinuation of the antipsychotic medication. The treatment of tardive dyskinesia after it has developed is problematic.For anyone who continues to need the medication clozapine is the treatment of choice. Clozapine is highly regarded by experts treating schizophrenia because of its use in treatment resistant cases, protective effects against suicide, and use with movement disorders. Those same experts often suggest that it is not used soon enough by front line clinicians, but it does have a unique set of liabilities in terms of metabolic and cardiac side effects and the need for white blood cell monitoring for the duration of use. Technically, the medication should not be dispensed to the patient unless their absolute neutrophil count is known at the exact days suggested in the protocol. Drug induced movement disorders can be much more than a cosmetic problem depending on your sensitivity to the medication. Although it rarely happens, I have treated patients with psychosis who had severe drug induced tardive syndromes that were identical to severe Parkinson's disease and who continued to have severe symptoms of psychosis. I would typically see patients with movement disorders because of my interest in the area, so I was seeing a large number of severe cases, but even rare cases of movement disorder related disability leave an impression. I have low threshold for discontinuing antipsychotic medication and would not use an antipsychotic medication when there is another option available. The best case in point is the current practice of augmenting antidepressant medications with an atypical antipsychotic. I have used these augmentation strategies, but only after other options were exhausted and the patient was educated about the potential problems. Even then, there is the risk that the pateint will not follow through with reporting the problems or stopping the medication does not have an effect on the movements. "Patients were initially randomly assigned to receive olanzapine, perphenazine, quetiapine, or risperidone under double-blind conditions and followed for up to 18 months or until treatment was discontinued for any reason (phase 1)." "Patients with current tardive dyskinesia could enroll, but the randomization scheme prevented their assignment to treatment with perphenazine." "Two hundred thirty-one patients with tardive dyskinesia were excluded from random assignment to perphenazine." "Moreover, more patients discontinued olanzapine owing to weight gain or metabolic effects (9 percent vs. 1 percent to 4 percent with the other four drugs, P<0.001) and more patients discontinued perphenazine owing to extrapyramidal effects (8 percent vs. 2 percent to 4 percent, P=0.002)"
"The dose range of perphenazine was chosen to minimize the potential for extrapyramidal symptoms that may have biased previous comparisons of first- and second-generation drugs." "The use of low-dose perphenazine appears to have diminished the frequency of extrapyramidal side effects in patients who received the first-generation drug. In contrast to previous studies, the proportion of patients with extrapyramidal symptoms did not differ significantly among those who received first-generation and second-generation drugs in our study. Despite this finding, more patients discontinued perphenazine than other medications owing to extrapyramidal effects." Effectiveness in this study was measured as time to medication discontinuation (primary measure) and Clinincal Global Impression (CGI) scale and Positive and Negative Syndrome Scale (PANSS). On the time to medication discontinuation olanzapine was significantly better than perphenazine. There were no differences on what are admittedly crude secondary measures and on those measures and efficacy perphenazine appeared to be as good as questiapine, ziprasidone and risperidone. The actual study results of CATIE were widely interpreted as older antipsychotics "being as good as" newer antipsychotics. The usual conspiracy theories about pharmaceutical companies making billions from new drugs that were "no better" than the old drugs was in play. Grist for the popular press with the subtext that the gullible (or greedy) psychiatrists have been duped again. More concerning is that it did lead to prescriptions of perpehanazine and some pharmaceutical beneift managers used it s an opportunity to suggest that newer antipsychotics should be used only if typical antipsychotic medications have bee tried. Even a cursory reading of the CATIE excerpts should suggest that the researchers here attempted to compensate for the tendency of perphenazine to cause neurological side effects and even then they could not prevent it. They clearly did not want anyone with tardive dyskinesia to take perphenazine. Having personally practiced during that time both of those statements make perfect sense to me. The people with no expertise and no experience can always come up with a sensational theory of headline for one reason or another. Nobody should doubt that newer antipsychotic agents are a significant therapeutic advance in terms of neurological side effects. As an expert, I cannot think of a reason why I would prescribe a first generation antipsychotic. I still see some opinions about using chlorpromazine for sleep, or other psychiatric conditions. There are some first generation antipsychotics that should not be prescribed to human beings. Only their low frequency of use keeps the FDA from pulling them off the market. "Treatment discontinuations due to neurologic adverse effects according to clinician judgment were as follows: 2 patients (1.4%) in the haloperidol decanoate group vs 1 (0.7%) in the paliperidone palmitate group due to akathisia; 3 (2.0%) in haloperidol decanoate group vs 1 (0.7%) in the paliperidone palmitate group due to parkinsonism; and 4 (2.7%) in the haloperidol decanoate group vs 1 (0.7%) in the paliperidone palmitate group due to tardive dyskinesia." "Contrary to expectations, there was no statistically significant advantage for paliperidone palmitate when compared with haloperidol decanoate in ratings of the severity of abnormal involuntary movements and parkinsonism, or in the incidence of tardive dyskinesia. However, ratings of the severity of akathisia increased more for haloperidol decanoate, and more medications to manage akathisia and parkinsonism were started for patients in the haloperidol decanoate group, partially confirming that paliperidone palmitate has a lower propensity to cause extrapyramidal symptoms than haloperidol decanoate." How might statistical significance be relevant here? The other interesting aspect of the McEvoy paper is that it references randomized clinical trials showing that long acting injectable medications add nothing in terms of reducing the frequency of hospitalization. That is a useful fact compared with some experts who claim otherwise. This study and the CATIE study highlight a couple of problems with medication focused research. First, the medication focus is not that intense. The researcher stake an approach to prescribing that is about as rigorous as the average clinician. Average clinicians do check prolactin levels but usually only when there is an indication and that will typically call for a more intensive intervention to treat the side effect. Whenever I look at samples of hundreds of people, I know that the metabolism of the drug in that sample is not going to be uniform and that accounts for a lot of the neurological side effects. Given the reasonable costs of therapeutic drug monitoring, it is curious that is never done in these trials. Unlike observation of prolactin levels, it could result in something actually being done like lowering the dose of a medication. Second, now that we have interventions to prevent complications should they be incorporated into the clinical trials? In the McEvoy study, should all of the patients have been coached on metabolic syndrome and strategies to prevent weight gain? Are we past the point where informed consent and the idea that we are observing the effect of a medication alone enough these days? Should Human Subjects Committees start introducing that idea? After all the neurological side effects were treated with a medication. What about the metabolic side effects? The bottom line for me is that there is no reason for prescribing first generation antipsychotics, unless a person has been stable on them for years and is not experiencing side effects. Comparisons for academic purposes are interesting, but they lead to misinterpretations by both the media and managed care entities. Psychopharmacology trials remain fairly primitive and they are a blunt instrument compared with clinical experience dealing with the neurological side effects of first generation antipsychotics. 2: Lieberman JA, Stroup TS, McEvoy JP, Swartz MS, Rosenheck RA, Perkins DO, Keefe RS, Davis SM, Davis CE, Lebowitz BD, Severe J, Hsiao JK; Clinical Antipsychotic Trials of Intervention Effectiveness (CATIE) Investigators. Effectiveness of antipsychotic drugs in patients with chronic schizophrenia. N Engl J Med. 2005 Sep 22;353(12):1209-23. Epub 2005 Sep 19. Erratum in: N Engl J Med. 2010 Sep 9;363(11):1092-3. PubMed PMID: 16172203. 3: McEvoy JP, Byerly M, Hamer RM, et al. Effectiveness of paliperidone palmitate vs haloperidol decanoate for maintenance treatment of schizophrenia: a randomized clinical trial. JAMA. doi:10.1001/jama.2014.4310. 4: Harrison PJ. The neuropathology of schizophrenia. A critical review of the data and their interpretation. Brain. 1999 Apr;122 ( Pt 4):593-624. Review. PubMed PMID: 10219775. 5: Iritani S. Neuropathology of schizophrenia: a mini review. Neuropathology 2007 Dec;27(6):604-8. Review. PubMed PMID: 18021384. Supplementary 1: I had an interesting thought about when the anecdotal becomes the statistical. I would say - probably when you have personally treated thousands of patients more than are in any clinical trial you are reading about - across multiple settings. At that point, your clinical experience and the conclusions that you draw from it are probably more valid than PANNS, extrapyramidal side effects and CGI ratings. So-called patient management problems have been building up on us over the past 30 years. I first encountered them in the old Scientific American Medicine Text. They are currently used for CME and more importantly, Maintenance of Certification. To nonphysicans reading this they are basically hypothetical patient encounters that claim to be able to rate your responses to fragments of the entire patient story in such a way that it is a legitimate measure of your clinical acumen. I am skeptical of that claim at best and hope to illustrate why. Consider a recent patient management problem for psychiatrists in the most recent issue of Focus, the continuing education journal of the American Psychiatric Association (APA). I like Focus and consider it to be a first rate source of the usual didactic continuing medical education (CME) materials. Read the article, recognize the concepts and take the CME test. This edition emphasized the recognition and appropriate treatment of Bipolar II Disorder and it provided an excellent summary of recent clinical trials and treatment recommendations. The patient management problem was similarly focused. It began with a brief descriptions of a young women with depression, low energy, and hypersomnia. It listed some of her past treatment experience and then listed for the consideration of the reader, several possible points in the differential diagnosis including depression and bipolar disorder, but also hypersomnia-NOS, obstructive sleep apnea, disorder and a substance abuse problem. I may not be the typical psychiatrist but after a few bits of information, I would not be speculating on a substance abuse problem and would not know what to make of a hypersomnia-NOS differential diagnosis. I would also not be building a tree structure of parallel differential diagnoses in my mind. Like most experts, I have found that the best way to proceed is to move form one clump of data to the next and not go through and exhaustive checklist or series of parallel considerations. The other property of expert diagnosticians is their pattern matching ability. Pattern matching consists of rapid recognition of diagnostic features based on past experience and matching them to those cases, treatments and outcomes. Pattern matching also leads to rapid rule outs based on incongruous features, like an allegedly manic patient with aphasia rather than a formal thought disorder. If I see a pattern that looks like it may be bipolar disorder, the feature that I immediately hone in on is whether or not the patient has ever had a manic episode. That is true whether they tell me that they have a diagnosis of bipolar disorder or not. I am looking for a plausible description of a manic episode and the less cued that description the better. I have seen evaluations that in some cases say: "The patient does not meet criteria for bipolar disorder." I don't really care whether the specific DSM-5 criteria are asked or not or whether the patient has read them. I need to hear a pretty good description of a manic episode, before I start asking them about specific details. I should have enough interview skills to get at that description. The description of that manic episode should also meet actual time criteria for mania. Not one hour or four hours but at least 4 days of a clear disturbance in mood. I recall reading a paper by Angst, one of Europe's foremost authorities on bipolar disorder when he proposed that time criteria based on close follow up of his research patients and I have been using it ever since. In my experience practically all substance induced episodes of hypomania never meet the time criteria for a hypomanic episode. There is also the research observation that many depressed patient have brief episodes of hypomania, but do not meet criteria for bipolar disorder. I am really focused on this cluster of data. On the patient management problem, I would not get full credit for my thinking because I am only concerned about hypersomnia when I proceed to that clump of sleep related data and I am only concerned about substance use problems when I proceed to that clump of data. The patient management problem seems more like a standardized reading comprehension test with the added element that you have to guess what the author is thinking. The differential diagnosis points are carried forward until additional history rules them out and only bipolar II depression remains. At that point the treatment options are considered, three for major depression (an antidepressant that had been previously tried, an antidepressant combination, electroconvulsive therapy, and quetiapine) and one for bipolar II depression. The whole point of the previous review is that existing evidence points to the need to avoid antidepressants in acute treatment and that the existing relatively weak data favors quetiapine. The patient in this case is described as a slender stylishly dressed young woman. What is the likelihood that she is going to want to take a medication that increases her appetite and weight? What happens when that point comes up in the informed consent discussion? The real issue is that you don't really need a physician who can pass a reading comprehension test. By the time a person gets to medical school they have passed many reading comprehension tests. You want a physician who has been trained to see thousands of patients in their particular specialty so they have a honed pattern matching and pattern completion capability. You also want a physician who is an expert diagnostician and who thinks like an expert. Experts do not read paragraphs of data and develop parallel tree structures in their mind for further analysis. Experts do not approach vague descriptions in a diagnostic manual and act like they are anchor points for differential diagnoses. Most of all experts do not engage in "guess what I am thinking" scenarios when they are trying to come up with diagnoses. Their thinking is their own and they know whether it is adequately elaborated or not. This patient management program also introduced "measurement based care". Ratings from the Inventory of Depressive Symptomatology (IDS) were 31 or moderately depressed at baseline with improvements to a score of 6 and 4 at follow up. Having done clinical trials in depression myself, and having the Hamilton Depression Rating Scores correlated with my global rating score of improvement, I have my doubts about the utility of rating scale scores. I really doubt their utility when I hear proclamations about how this is some significant advance or more incredibly how it is "malpractice" or not the "standard of care" if you don't give somebody a rating scale and record their number. In some monitored systems it is even more of a catastrophic if the numbers are not headed in the right direction. Rating scales of subjective symptoms remain a poor substitute for a detailed examination by an expert and I will continue to hold up the 10 point pain scale as the case in point. The analysis of the Joint Commission 14 years ago was that this was a "quantitative" approach to pain. We now know that is not accurate and there is no reason to expect that rating scales are any more of a quantitative approach to depression. Those are a couple of issues with patient management problems. The articles also highlight the need for much better pharmacological solutions to bipolar II depression and more research in that area. Cook IA. Patient Management Exercise - Psychopharmacology. Focus Spring 2014, Vol. XII, No. 2: 165-168. Hsin H, Suppes T. Psychopharmacology of Bipolar II Depression and Bipolar Depression with Mixed Features. Focus Spring 2014, Vol. XII, No. 2: 136-145.